Fancy eating and drinking amongst the dead this Halloween? 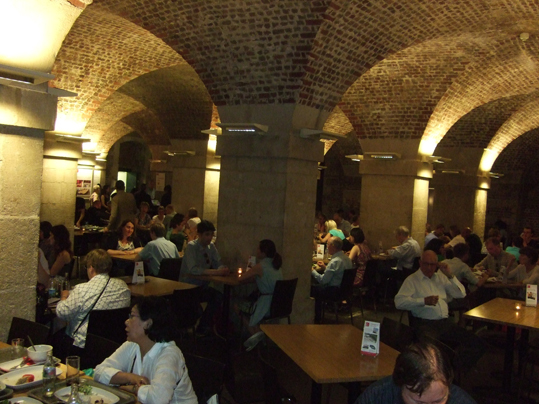 If you are in central London, the Cafe in the Crypt is the perfect place to go. As well as offering reasonably priced food, the wonderfully atmospheric crypt of St Martin-in-the-Fields church, by Trafalgar Square, is a great place to visit. I often pop in there when I'm up in London, especially if I am going to the nearby National Gallery or National Portrait Gallery, but the crypt itself also puts on art exhibitions. I took the photos on this page when I was going to look at a friend's sigil art that was on display there this summer. 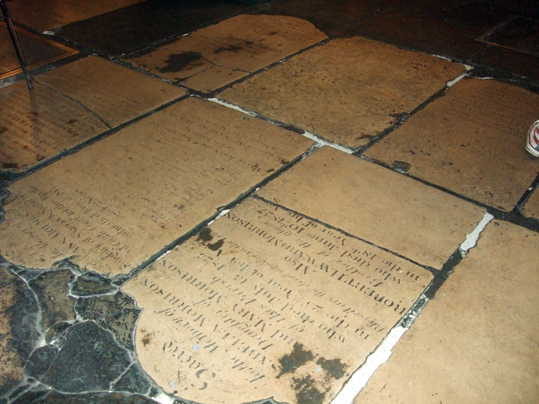 You can read the inscriptions on the stones that pave the cafe floor and also explore a side gallery containing other funereal statues and monuments. 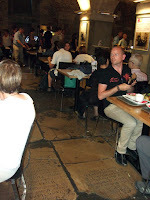 Les Routiers Café of the Year 2012, the Café in the Crypt is the ideal spot for affordable dining in central London. Londoners and visitors from around the world return again and again to take in the striking atmosphere and enjoy the freshly prepared food. 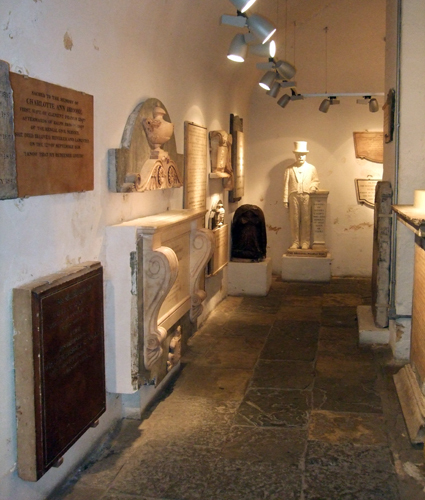 Once inside the Crypt there is a warm welcome awaiting you with beautiful 18th century architecture brick-vaulted ceilings, historic tombstones beneath your feet and delicious home-cooked food to feast your eyes and stomach on.. The Cafe in the Crypt also has jazz nights on Wednesdays, which you need to book tickets for. I've been posting my London Necropolis blog entries in the run-up to Halloween each year, with photographs and information about London's burial sites. There are links to some of my earlier posts below the photo.